Fall means yummy apples, so I thought I’d make one of our family’s favorites: Nana’s applesauce. Nana (what my kids call my mother) makes this on the stovetop, but I prefer doing it in the crockpot, for two reasons: (1) I don’t have to stand over it. I can just make it and leave it; and (2) it makes the house smell all cinnamony and warm and good for several hours. 8 red or yellow delicious apples (or, honestly, any other kind other than Granny Smith. I’ve used Gala and Fuji and others). Peel and core the apples and cut into bite size pieces. Put in pot or crockpot with about 1 cup water. If making on the stove, cook on medium until the apples can be smushed (yes, the recipe says that) with a wooden spoon. Remove any excess water as it cooks. When done enough, add about 1/4 cup sugar or to taste, a little cinnamon, a pinch of cloves, and a cinnamon stick. If making in the crock pot, add sugar, cinnamon, cloves, and cinnamon stick to the crock pot. Cook on low for about four hours or until apples can be smushed with a wooden spoon. 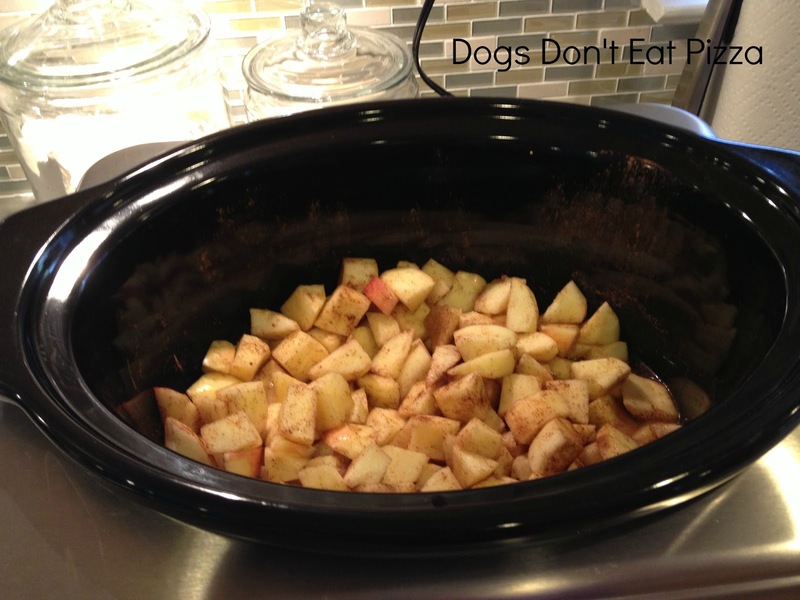 You had me at crockpot – put it in, plug it in, forget about it! That’s my kind of recipe! Great! I like to make applesauce too, but it just never occurred to me to use the crockpot. Love it!